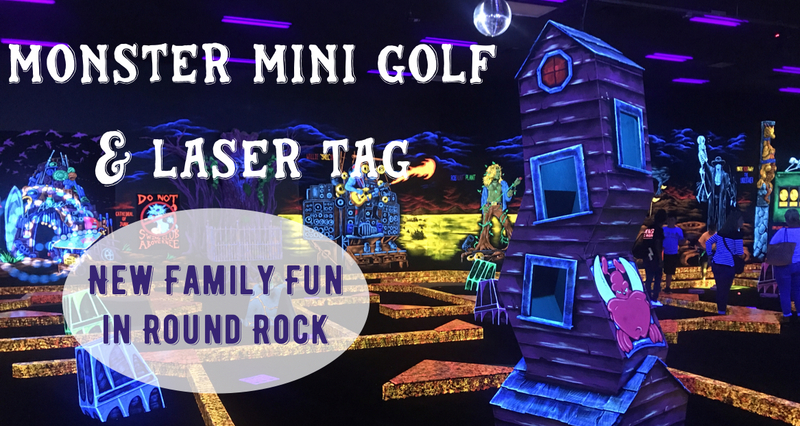 One of the most recent additions to the family fun scene in Round Rock is Monster Mini Golf & Laser Tag. Go behind the scenes with us and check out all the fun you & your family can have here. In the age of iPhones, Netflix, and competitive club sports, quality family time is becoming harder to come by. 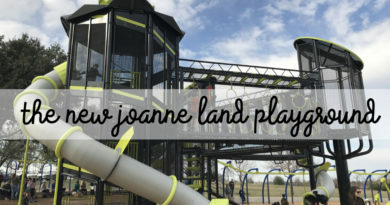 And that’s why we get so excited to see a business that offers a fun and unique family experience come to Round Rock. When we saw the first announcements that Monster Mini Golf and Laser Tag was opening in Round Rock, we were thrilled. 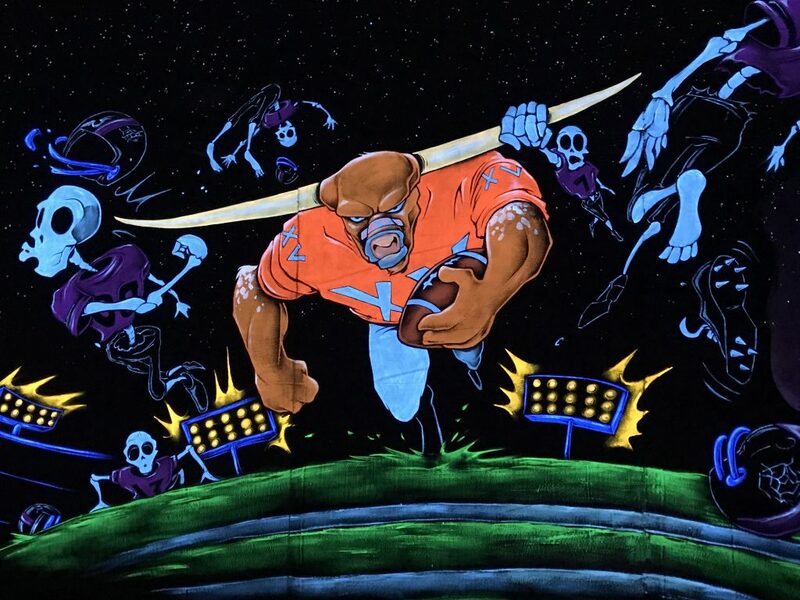 Monster Mini Golf and Laser Tag is an indoor entertainment center in East Round Rock that offers glow-in-the-dark mini golf, a full-scale laser challenge, birthday party rooms, and arcade games. They opened at the end of the summer and have been busy ever since. 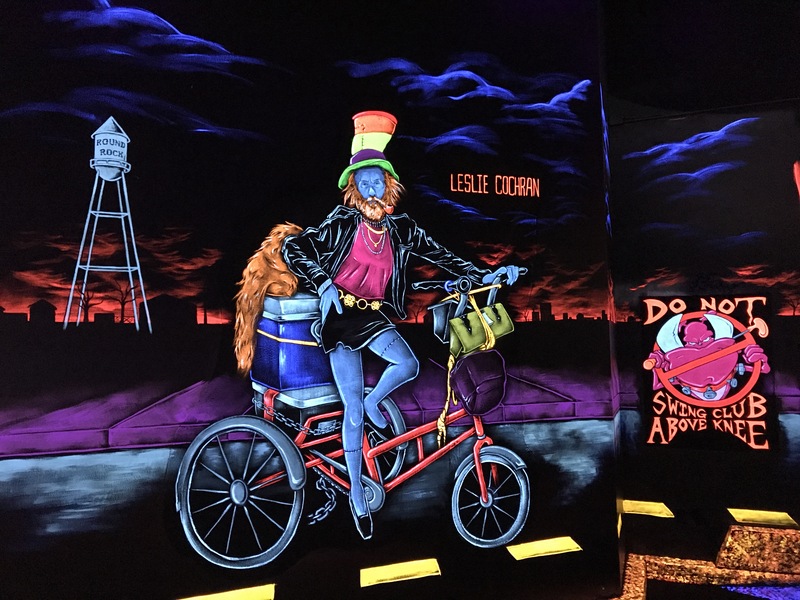 A few weeks ago, we were invited for a behind-the-scenes tour of Monster Mini Golf and Laser Tag, where we broadcast a Live tour on our Facebook channel (see below) and learned from owners, Brian and Amy Smith, exactly how they came to open in Round Rock. When The Smith Family moved to Round Rock from Illinois a few years ago they found it lacking a specific family experience that they all enjoyed – miniature golf. When their family vacations or visits somewhere new, they like to play mini-golf. Their son is autistic and mini-golf is a perfect ice-breaker for them when they are in a new location. And when they found themselves in Round Rock, they were disappointed to find only a handful of mini golf spots in Central Texas. Their disappointment turned into a terrific business opportunity to bring Monster Mini Golf, a nation-wide franchise, to our city. 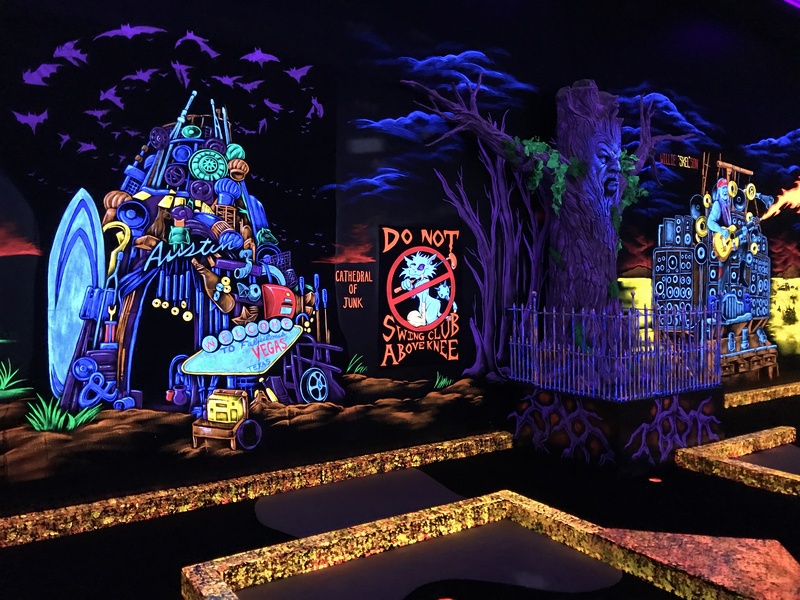 And in a very smart business move, they chose an indoor, glow-in-the-dark mini-golf business, where families can enjoy playing year round – especially in the summer. 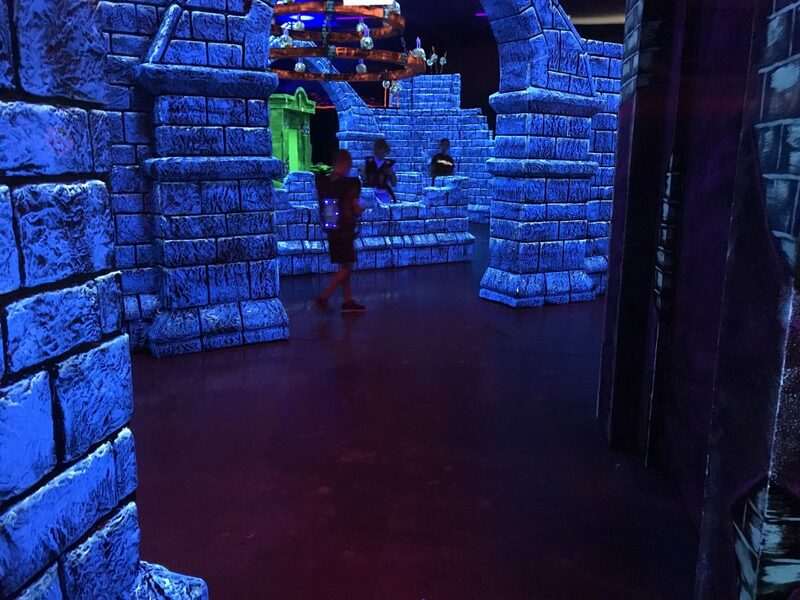 The highlight of Monster Mini Golf and Laser Tag is the unique miniature golf course. 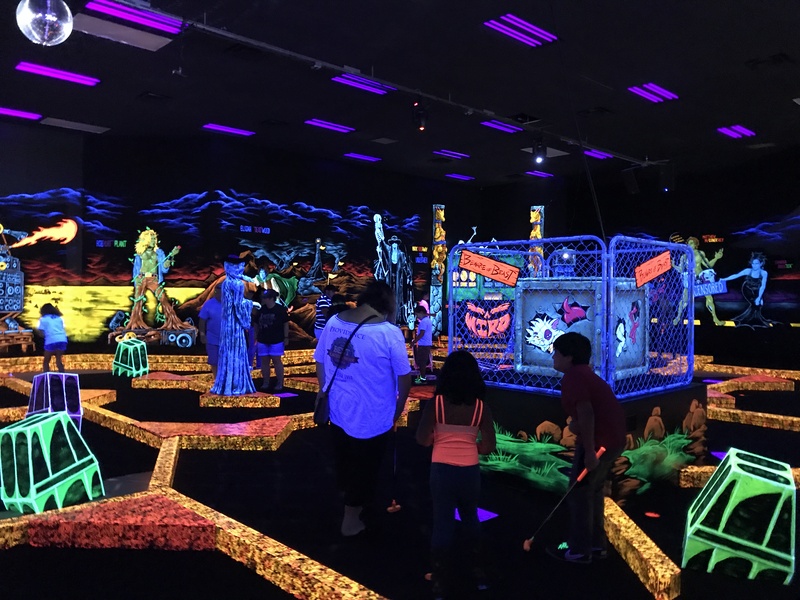 All 18 holes are indoors, in a darkened room, with the most colorful, glow-in-the-dark murals adorning the walls. The Smiths hired local artists to design the locally-inspired “monsters” taken from well-known Austin spots or locals like the Cathedral of Junk, Matthew McConneghey, and the University of Texas. There is even a “shout-out” to our round rock on their walls. The course is run by a DJ who periodically calls out challenges for which ever hole you are playing, starts up dance parties and more. The goal is to make every round of golf a new experience for patrons. Unique to the Round Rock Monster Mini Golf, a 20-person laser challenge is also available (only a few other franchises have laser tag). Fun for all ages, laser tag is great for big groups of friends or corporate team-building. The Smiths worked hard to bring unique arcade games to Monster Mini Golf and Laser Tag as well. Traditional games like basketball and skeeball are intermixed with a giant Space Invaders and laser maze (think Mission Impossible lasers). It’s nostalgic for the parents who grew up going to the arcade on the weekends and fun for our kids who are fans of Stranger Things. Monster Mini Golf and Laser Tag has two party rooms, offering birthday parties through out the day. But parents, this ain’t no ordinary birthday party. These party packages actually allow the parents to enjoy their child’s birthday instead of doing all the work. With a birthday party at Monster Mini Golf and Laser Tag, the host sets up the room, greets the guests, runs the party – complete with games, mini golf and/or laser challenge (you choose), cuts the cake, and even loads the car back up with gifts to go home. They do EVERYTHING and mom and dad get to enjoy the birthday party. I love it! ****Monster Mini Golf & Laser Tag Tour & Giveaway****Take a peek at the new Monster Mini Golf with us! What questions do you have? Ask us! Enter to win 2 passes to Monster Mini Golf & Laser Tag by commenting below & tagging someone that needs to know about this cool new place! *Giveaway Rules- Giveaway begins on Saturday, Oct 21 at 2:00 pm and ends on Sunday, Oct 22 at 8pm- Winner will be randomly chosen and notified via this thread. – Winner will have 24 hours to claim their prize or another will be chosen. 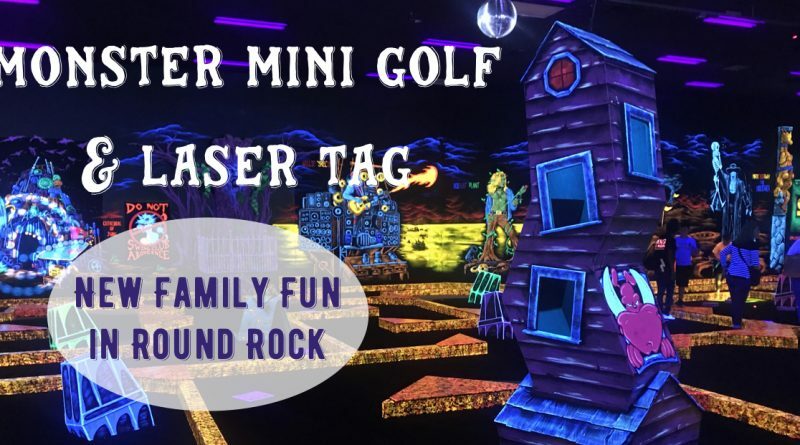 As a family who likes to have unique & fun experiences together, we are so excited to see Monster Mini Golf and Laser Tag come to Round Rock. I know so many people who have gone and had such great things to say about it as well. We think it’s a reasonable place to take the whole family, enjoy a date night, or just hang out with a group of friends. 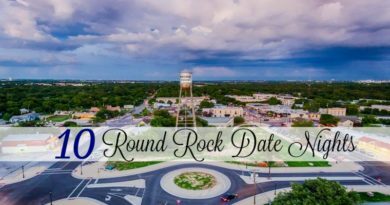 Get a date on the calendar to check it out Round Rock! Check them out of Social Media too!